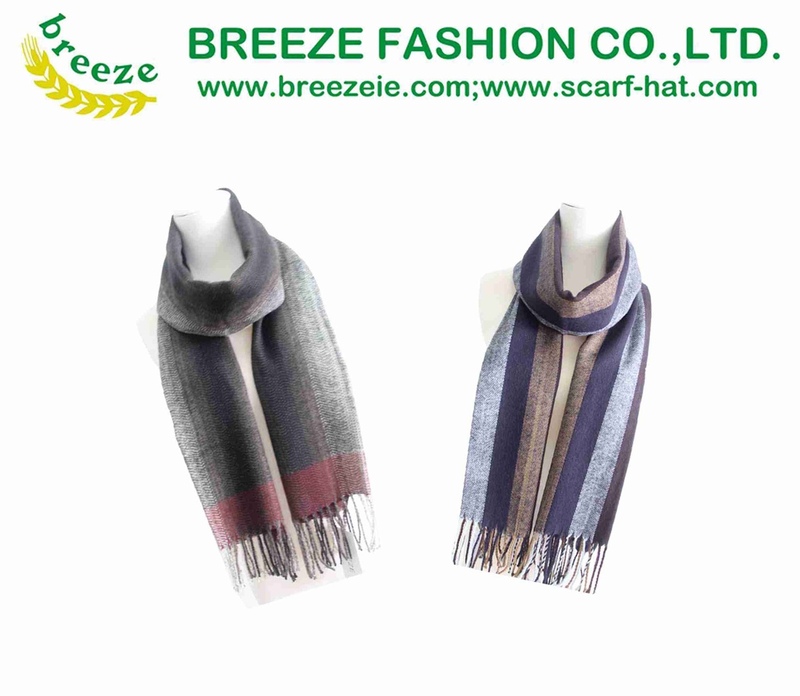 The Mens Scarf is an under used garment even in the cold winter months, but it can add a new dimension to an outfit as well as keeping out the chill. However, a lot of us men need a tip or two when buying clothes and scarves are no exception. So I have laid out a few hints and pointers to get you started. As we all know, size does matter and the case of the scarf the longer the scarf the more we can do with it. As a general rule of thumb, I would suggest that scarves 160-170cm in length is a minimum requirement with 200cm probably the optimum length to allow you to knot, loop or wrap a scarf. A word of warning here; too long can just look plain ridiculous so never go longer than 210 cm. 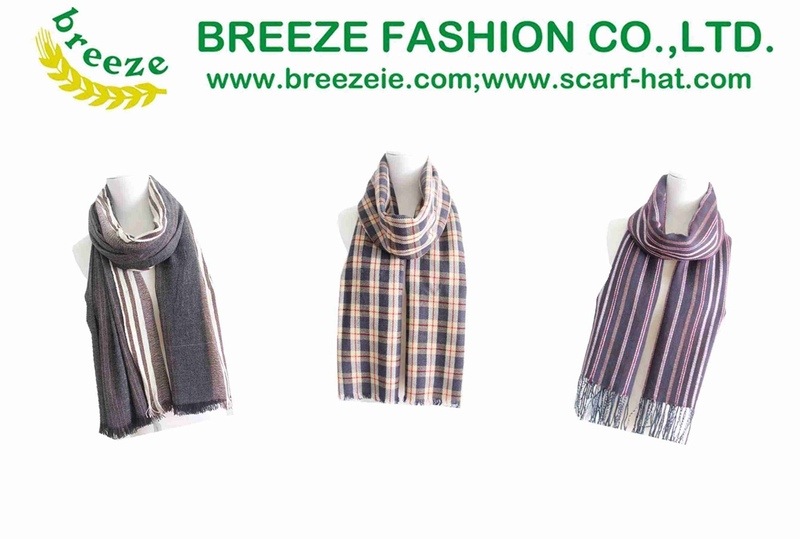 Chunky men's scarves are not only very popular at the moment they are a great way to protect you from the winter chill. If you are on the look out for a chunky woven scarf, I would recommend a thick woven wool scarfor if you want to push the boat out and really treat yourself a cashmere woven scarf if one of the ultimate luxuries and if you shop around smartly it won't cost you the earth. Although a plain black cashmere scarf can be seen as a little bit boring, it is a timeless piece that won't be subjected to fashion trends and will always look good even though not spectacular. Also the benefit of buying and thing in black is that it is naturally slimming and the colour is very forgiving and won't show stains and marks like lighter colours. Tartans look pretty good on most men, and stripes are practically guaranteed to look fantastic. So for the perfect scarf collection it has to be these three styles. I prefer the way a scarf looks when worn with a suit jacket or a mid length black or navy blue overcoat. If your jacket has lapels, make sure you drape the scarf under them if you plan on letting your scarf sit on your neck and fall down. If you want to knot the scarf I recommend tucking the scarf in to the jacket with the buttons done up.